GALLIPOLIS — Gallipolis Lions Club scholarship chairperson Jeffery Fowler has announced the recipients of the 2015 Lions Scholarships. Madison Burns, of Gallia Academy High School, Phillip Hollingshead, of Ohio Valley Christian School, Alexis Johnson, of South Gallia High School, and Janelle McClelland, of River Valley High School, were selected this year. Madison Burns is the daughter of Mark Burns and Angela Burns. While in high school, she has been involved with volleyball, softball, a member of FFA, and Fellowship of Christian Athletes. She has also volunteered in many community activities and has been a member of 4-H for eight years. 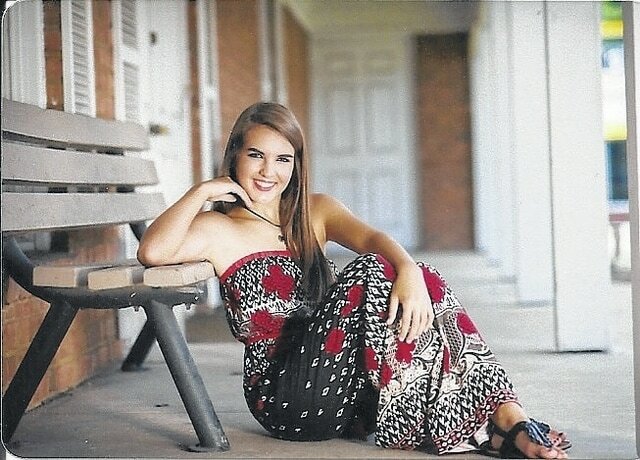 After graduation she plans to be accepted into the nursing program at Marshall University. Philip Hollingshead is the son of Jeffery and Leigh Ann Roach. His activities include varsity soccer, varsity basketball, a member of Student Council and a member of Christian Honor Society. He has been a 4-H member for nine years. Phillip will be attending The University of Finland, majoring in animal science/pre-veterinary medicine with a minor in biology. Alexis Johnson is the daughter of Kirk and Tina Johnson. During her high school career, she has been active in cheering, volleyball and track. While in high school, she was National Honor Society president, a member of Beta Club, PRIDE, BPA and fellowship of Christian Students. She has been involved in several community service activities and has participated in numerous pageants. Alexis has been a member of Girl Scouts and 4-H for 13 years. She will be attending the University of Rio Grande and majoring in professional and business communications. Janelle McClelland is the daughter of Jared and Jennifer McClelland. She is the class of 2015 salutatorian and has been involved in volleyball, National Honor Society, Beta Club, Student Council and Key Club. Other activities include volunteering for Holzer Health System and she has been involved with gymnastics throughout her high school years. Janelle plans to attend The Ohio State University and majoring in speech and hearing sciences.